Event was aimed for informing people about the real life conditions of Eritreans. Why people flee from Eritrea and how perilous their journeys are. Main speaker of the evening was Filmon who has escaped Eritrea himself. 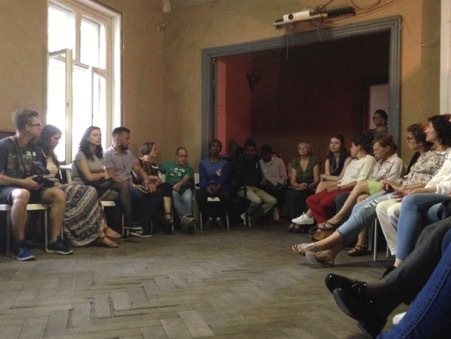 People who attended the event were able to find out the experience of people who had been forced to run away from their country, the movement of Eritreans into Europe, in order to save themselves from prison or other repression, with only purpose the search for secure and peaceful life. Questions and answers were encouraged too, but most of them were about his current life and potential plans. Event was held in the form of presentation with attendants sitting in the circle and after the story of Filmon, reflecting about the new facts they learned. Additionally, the attendants were encouraged to become more active in the supporting of integration for refugees.